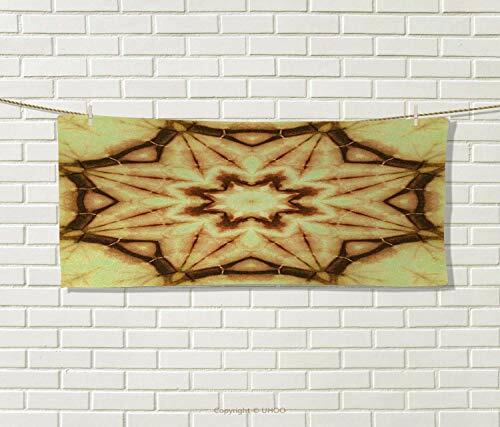 Anniutwo Mandala,Sports Ttowel,Trippy Ethnic Thai Mandala Motif Dirty Grunge Smear Rough Stains Art,Absorbent Towel,Mustard Brown Size: W 12" x L 35.5"
2. 100% microfiber Bath Towels Size: W 12" x L 35.5"
If you have any questions about this product by Anniutwo, contact us by completing and submitting the form below. If you are looking for a specif part number, please include it with your message. Anniutwo Elephant,Bath Towel,Yellow Toned Elephant Motif on Door Thai Temple Spirituality Statue Classic,Bathroom Towels,Fuchsia Mustard Size: W 31.5" x L 63"
Anniutwo Art,Baby Bath Towel,Thai Pattern Design Illustration Gold Tree Oriental Culture Asia Eastern Ways,Print Wrap Towels,Gold Sky Blue Size: W 10" x L 39.5"
Asian,Baby Bath Towel,Big Giant Statue The River at Sunset Thai Asian Culture Scene Yin Yang Print,Print Wrap Towels,Burnt Orange Size: W 10" x L 39.5"